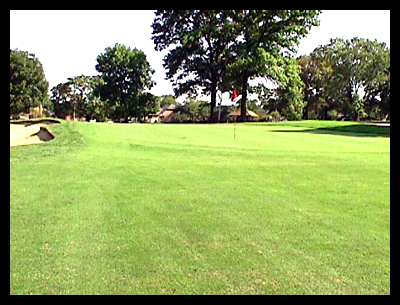 Comments: Notice the uphill pitch of this green. This narrow green is 40 yards deep. The back left pin placement is the most difficult.